How do those little dish antennas sticking out of the HST track their target independent of telescope pointing? Almost all the photos I see of the HST show the two small dish antennas at the ends of the two long, opposing booms with the "top" one pointed straight ahead at 12-o'clock, and the "bottom" one at 3-o'clock. The HST is in LEO, and probably spends most of its time at an attitude either fixed (or nearly fixed) with respect to the stars so it can do science, or efficiently slewing to the next target. That means that these two antenna booms will spend most of their time without a fixed orientation with respect to ground stations on the Earth, or communications linking satellites in GEO. Do these dishes actually articulate and independently track targets so they can downlink this constant stream of data and uplink their next instructions? If not, does the telescope stop making measurements, stop tracking the heavens, and slew around to point one or the other at communications links? Either way (stopping science or extra work for ADCS turning the entire telescope) sounds less optimal than just adding articulation to the little dishes. 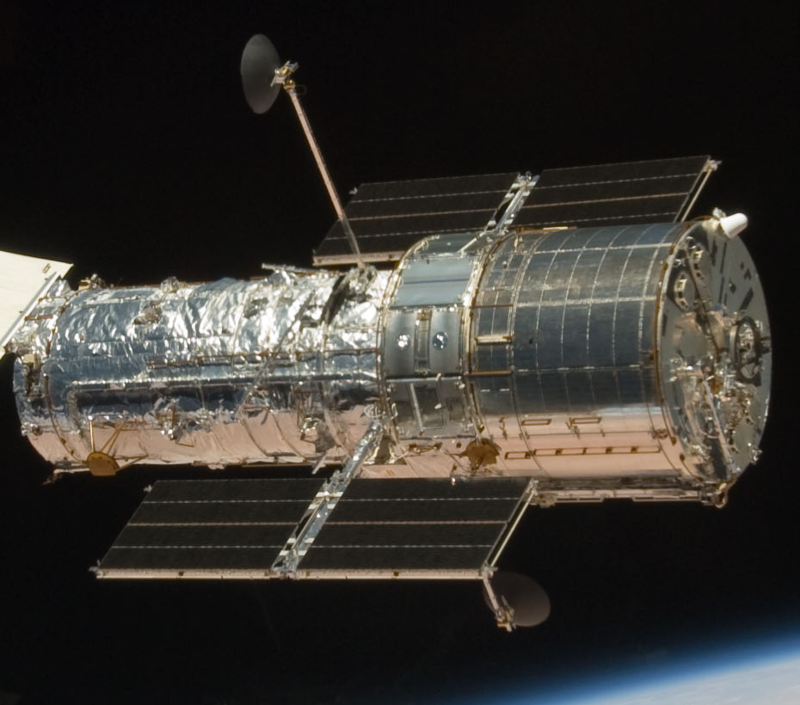 above: "An STS-125 crew member aboard the Space Shuttle Atlantis captured this still image of the Hubble Space Telescope as the two spacecraft continue their relative separation on May 19, after having been linked together for the better part of a week." Cropped, from here. above: "The Hubble Space Telescope as seen from the departing Space Shuttle Atlantis, flying STS-125, HST Servicing Mission 4." Cropped, from here. 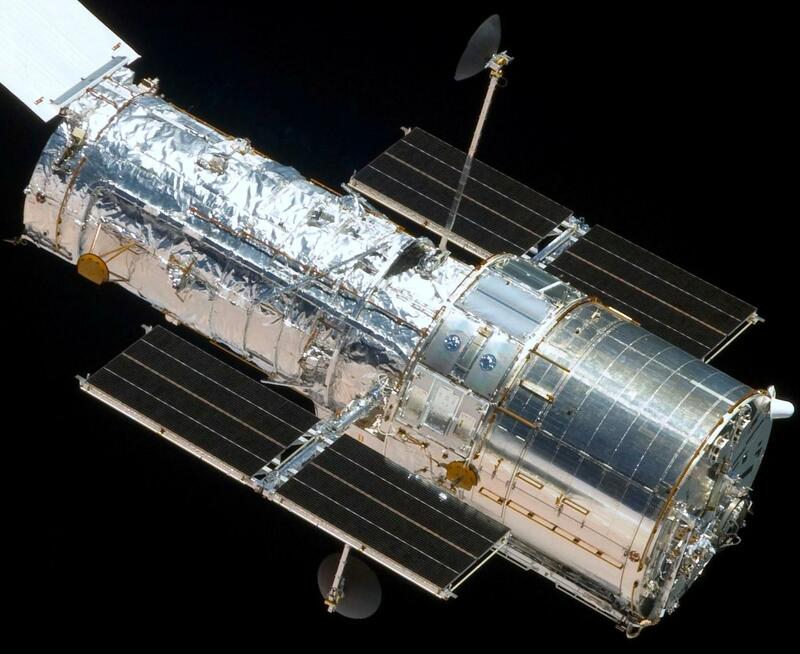 above: "IMAX Cargo Bay Camera view of the Hubble Space Telescope at the moment of release, mission STS-31." Cropped, from here. High Gain Antennas. Each HGA is a parabolic reflector (dish) mounted on a mast with a two- axis gimbal mechanism and electronics to rotate it 100 degrees in either direction (see Fig. 5-9). The HGAs achieve a much higher RF signal gain, which is required, for example, when transmitting high-data-rate scientific data. These antennas require pointing at the TDRSs because of their characteristically narrow beam widths. On the other hand, the LGAs provide spherical coverage (omnidirectional) but have a much lower signal gain. The LGAs are used for low-rate-data transmission and all commanding of the Telescope. As any in-situ pictures of HST would have been taken from the space shuttle on a servicing mission, the HGAs likely wouldn't have been in use. Not the answer you're looking for? 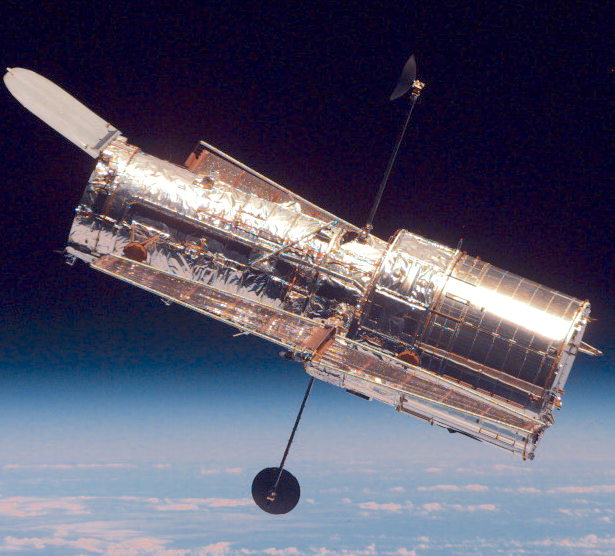 Browse other questions tagged low-earth-orbit communication data-transmission hubble or ask your own question. How well can Voyager 1 separate Earth signals from Solar noise these days? 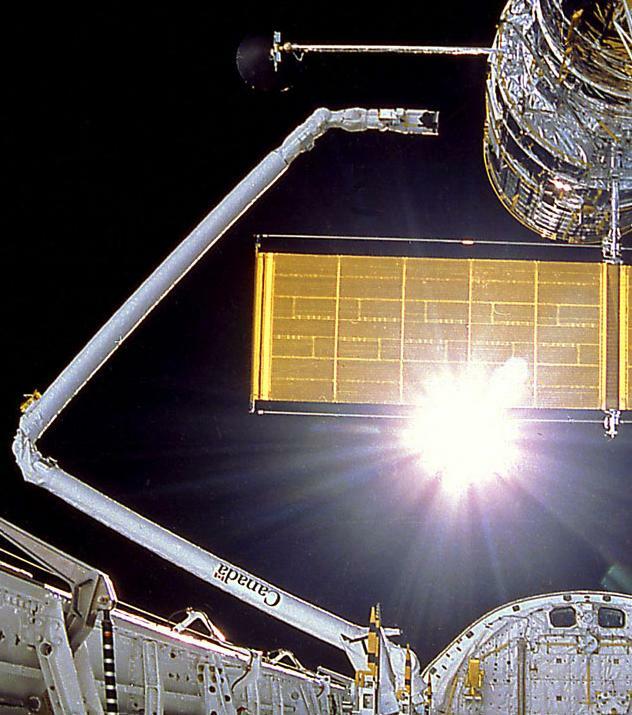 Hubble's one-gyro mode; how does it work for attitude control, stabilization, and slewing?